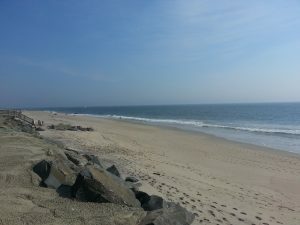 The Shores is located at 45 Ocean Avenue and is right on the beach. 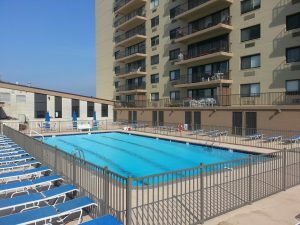 Built in the 1970's and located at 45 Ocean Avenue and directly on the beach in Monmouth Beach, The Shores is a full-service condominium with 132 one and two bedroom apartments. All of the two bedroom apartments are the same size have the same layout and the same it true for the one bedroom apartments. 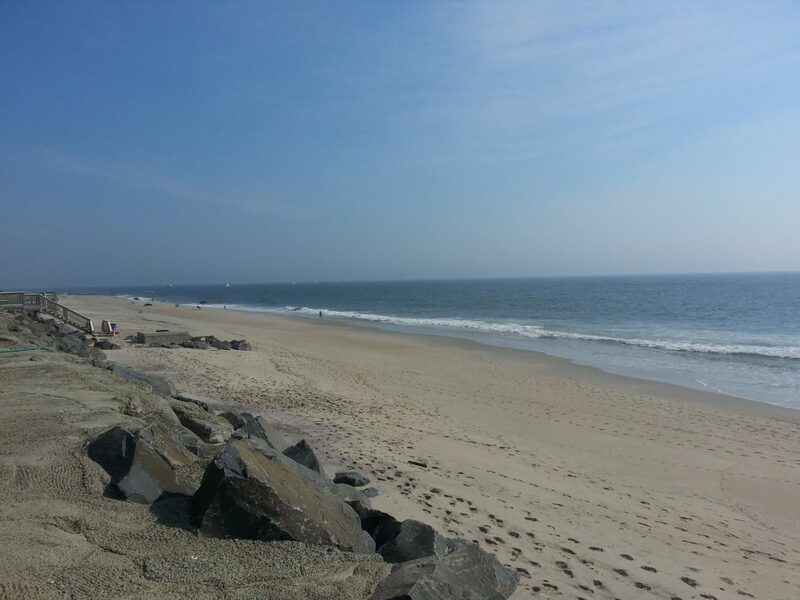 The Shores has a north and south tower which is perpendicular to the beachfront, affording each apartment with a view of the ocean. 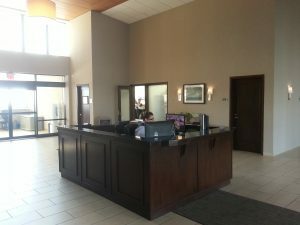 Amenities in The Shores include a 24-hour concierge desk, beach access, an indoor and an outdoor pool, a social room, a tennis court, a fitness room, a luncheonette in the building by the outdoor pool area and on-site management. There is a parking garage but currently there is a waiting list for spaces in it. 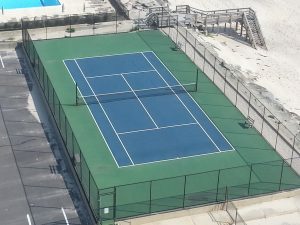 On the north end of the property is an open parking lot which includes visitor parking spaces. 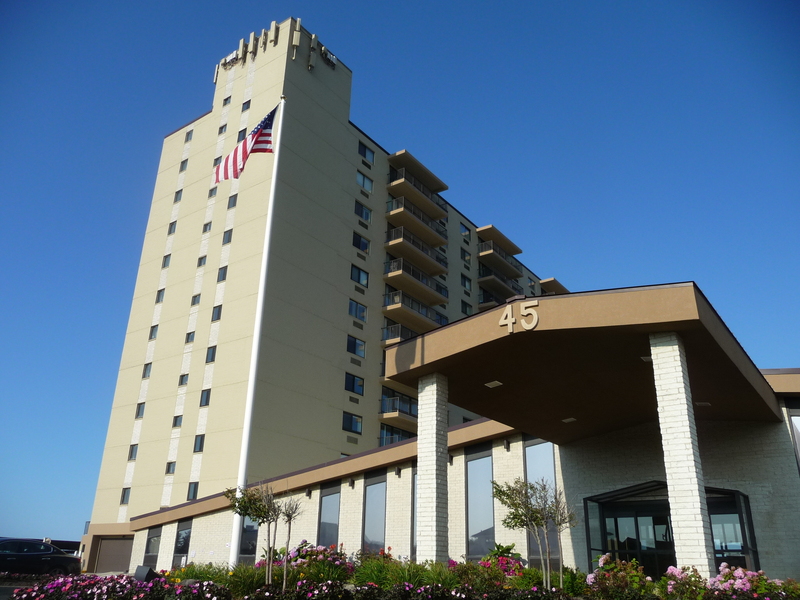 The Shores is a pet restricted building with dogs not permitted. Between the two towers is an outdoor pool,pictured here, overlooking the ocean. 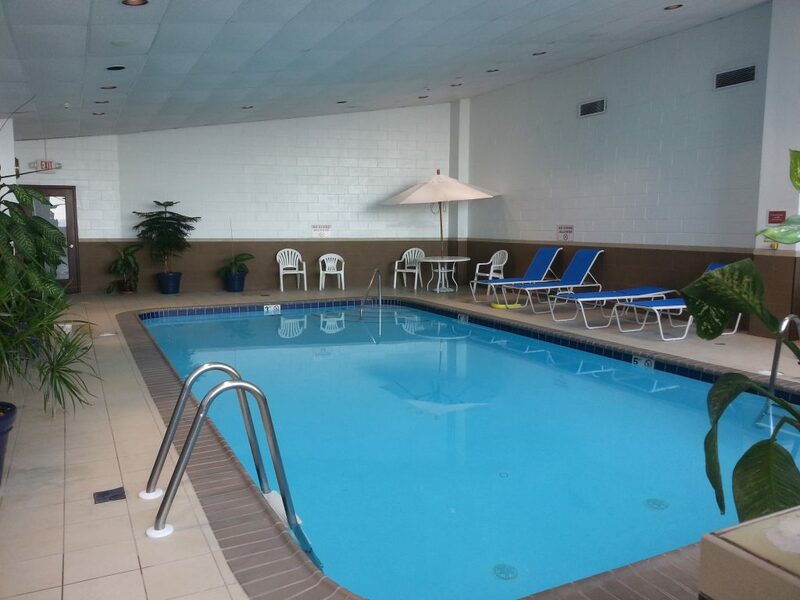 The Shores is just one of two beachfront condos with an indoor pool, pictured here. Right off the back of the building the Shores has it's own beach for residents to enjoy. At the north end of the property next to the beach is this tennis court. 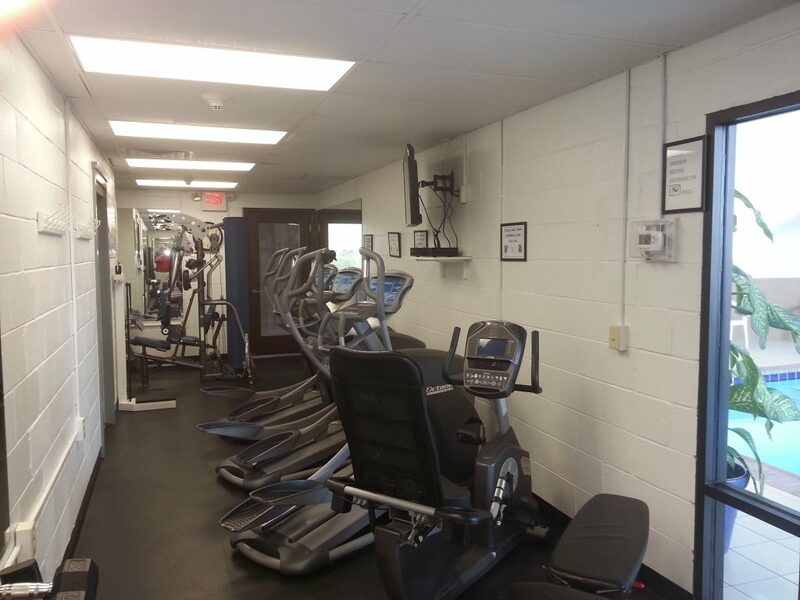 On the ground level next to the indoor pool is a clean, well lit fitness room. 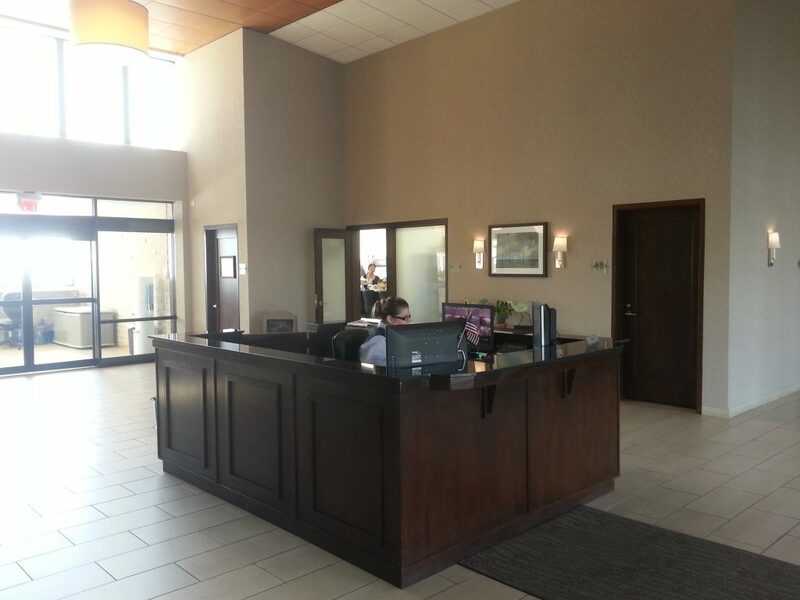 The concierge desk at The Shores is manned 24 hours a day, 7 days a week.